October 25, 1990 remains a remarkable day in my life. 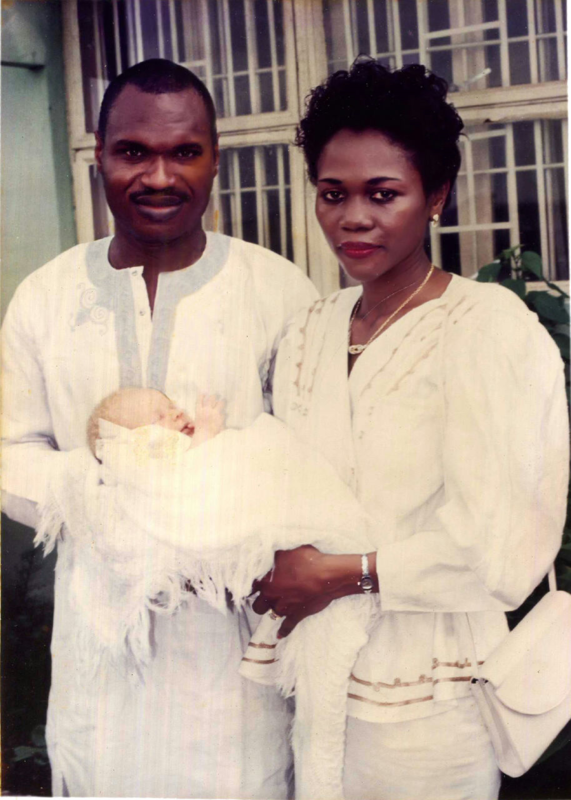 That was the day I gave birth to my first child and beloved daughter, Onome. I was terribly shocked when I saw her. I kept staring at this child with white hair and skin. Onome’s Dad was surprisingly calm. He was too elated to care about her skin colour. I on the other hand kept hoping for a miracle that would change the white hair and skin overnight. The much awaited miracle of course never happened. 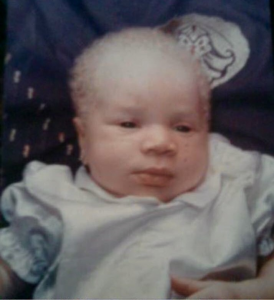 I prayed to God and finally got a conviction that He had given me a child with albinism for a reason. I asked God to provide all the resources I would need to make my child the best in the world. The doctor that attended to me could see my fears. He was really helpful providing my husband and I with dos and don’ts for Onome. 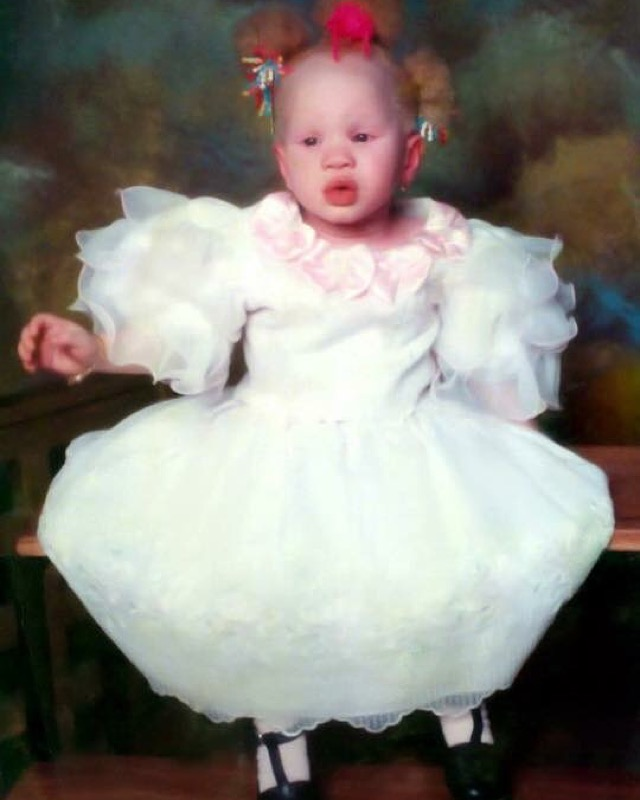 My quest to make my child the best made me begin to read all I could about albinism. I learnt everything and asked questions where necessary. Onome’s birth drew a lot of attention, questions and comments from both friends and family. While some people had the guts to say how they felt to my face, others were too cowardly to face me, so they turned to backbiting. Some of the comments really got to me but I got to a point where I realized I didn’t owe anyone any explanations. My sister who lived abroad was so concerned about the sensitivity of Onome’s skin that she suggested taking her abroad to live with her as the weather there would suit her. 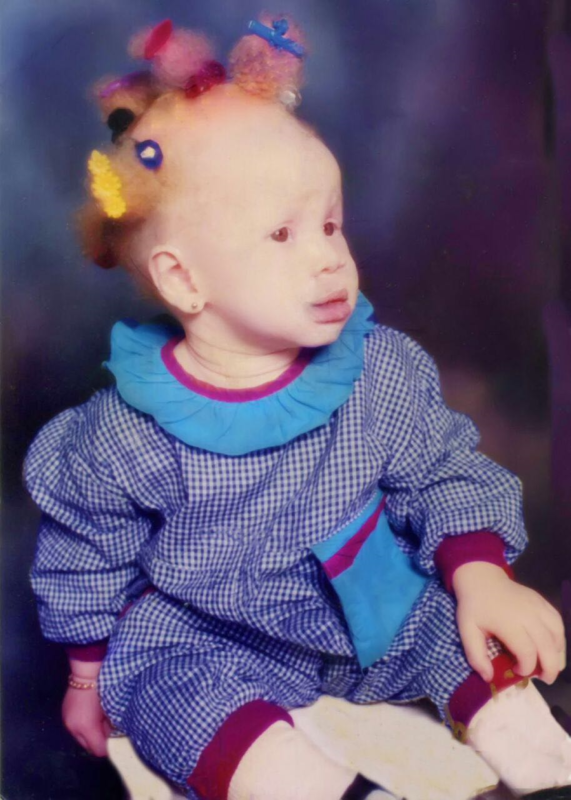 I blatantly refused as I was on a quest to prove to everyone that it was possible to have a child with albinism that has a good self-esteem and a good skin. From infancy, Onome used a special cream, soap as well as sun block. I also took her to visit the dermatologist quite frequently. While in Primary school, Onome began to realize that she was different. She kept insisting that I send her to a school for white children. Going to school became a tug of war. I had to tell her that she is related to Jesus Christ. This worked quite well all through her primary school but by the time she got to secondary school, she was convinced that she was different. It was indeed quite challenging as she began to withdraw. She hated going as she was afraid that people would stare at her. I understood early enough that her colour would always make her stand out so I used that to her advantage by ensuring that she always looked good and neat. She had the best of clothes, shoes and accessories. People admired her. I made it clear to her teachers that she must always sit in front and never get involved in physical activities. I knew I had to help build her self-esteem so I took her out a lot. She was my “handbag”. I would dress her up so gorgeously just to show her off. I wanted her to get used to people looking at her. I would always tell her how beautiful she was. There were instances where I would purposely sit with her at the back of the church so that she would have to walk all the way to the front to give her offering. Onome started to use umbrellas in secondary school to protect herself from the sun. I would buy very fanciful umbrellas and encourage her not to go out without an umbrella. She was nicknamed “umbrella girl”. Every child with albinism faces discrimination and stigmatization from the society in one way or another. Onome had her own fair share. Some teachers often used her skin colour to get back at her. Some students also did same. I fought all these battles for her while teaching her to always fight for herself as I would not always be there to fight for her. In a bid to further boost her self-esteem, I called her albino, afin, oyinbo, yellow and all other names the society would call her. I wanted her to get used to these names so that when people call her these names, she won’t feel bad. By the time she got to the University of Lagos, I knew I had to give her freedom. I was confident that I had done my part by preparing her for the good, the bad and the ugly. Her first year in the university was quite difficult. It was her first time outside home. I however ensured that she was always looking good. This attracted a lot of people and soon she became popular in Unilag. Like every other young lady, she had toasters and admirers some of whom used her skin colour against her whenever she turned down their advances. I made it my duty to make friends and keep in touch with her friends and course mates to help and protect her. I understood that she would need help in my absence. There was an occasion in the university where she was scared to leave her hostel because a group of guys would always tease and call her names while she passed by. I encouraged her to wave and dance as they called her names. This of course worked as she soon became friends with this group. While growing up, I always taught Onome that nothing is impossible once you have God and believe in yourself. I encouraged her to take on challenges and ensured that she overcame such challenges. I remember how scared she was to learn how to drive due to her eye sight which is a normal condition for people living with albinism, I however encouraged her, enrolled her in a driving school and eventually she was able to drive. 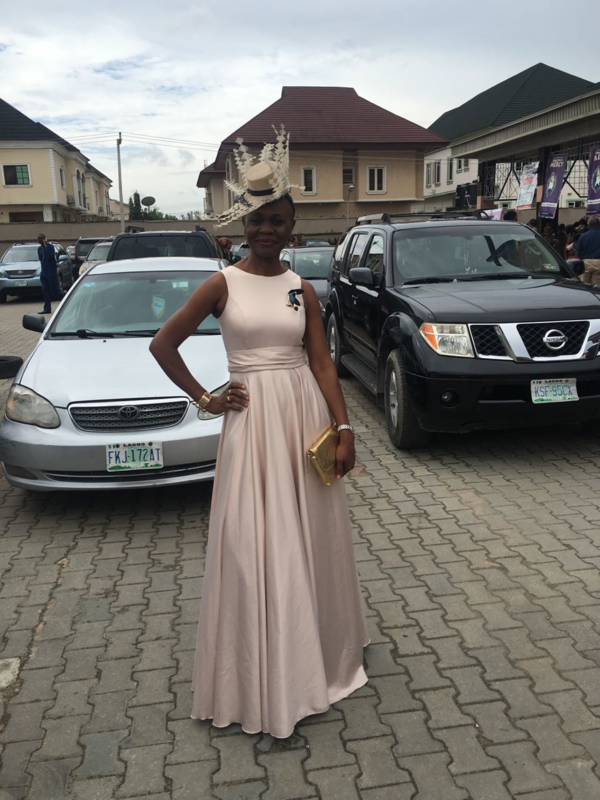 After graduating from the University of Lagos, Onome proceeded to the U.K for her masters. While in the U.K, most of her colleagues felt she was Spanish or Russian. From infancy to adulthood, Onome ate every kind of food. I didn’t have to make any special food for her. There are many misconceptions about people living with albinism not being able to eat food with salt, crayfish and the likes. There is no exception to what my daughter; Onome can eat even if she has preference for certain meals. I am a proud mother as a lot of people living with albinism look up to my daughter. Her kind, sociable and caring personality draws people to her. She has become a mentor to many both within and outside Nigeria who have hope that if she can achieve it, they can as well. It took a lot of hard work, patience, consistency and of course the Almighty God. I am proud of the woman she has become. Today, Onome has a foundation (Onome Akinlolu Majaro Foundation) that is aimed at eradicating discrimination against albinos. Onome has featured on various media such as Wazobia FM, Radio Lib, Wazobia Max, Genevieve Magazine, Bella Naija, just to mention a few. She is indeed a success story and I flaunt her every time I have the opportunity to do so. She is a public relations specialist, a wife and a mother. What else can I ask for? I made a pact with God at her birth and I am glad it has become reality. 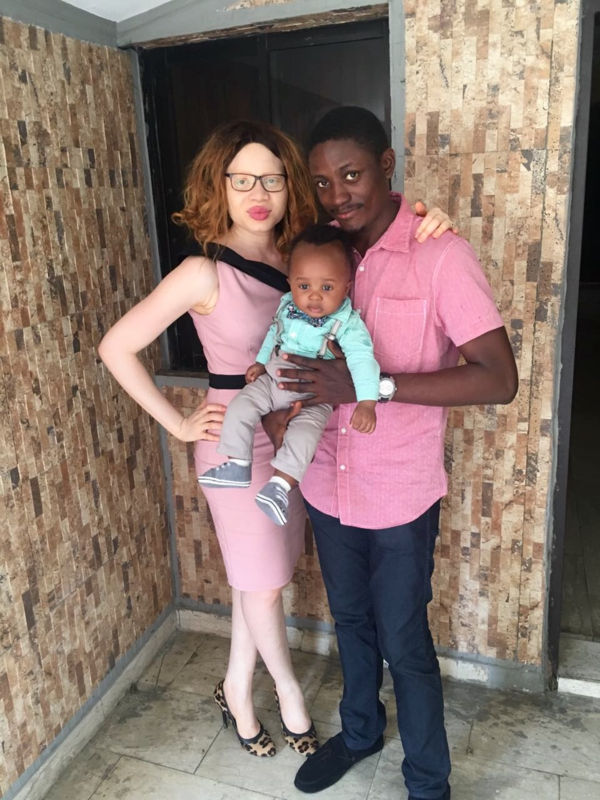 It is indeed possible to have an albino with a good skin and personality in Nigeria. Having a child living with albinism has made it possible for me to help others. My success with my daughter has made other mothers of albinos draw close to me. I am also drawn to women that have children living with albinism as I see it as an opportunity to help them train and groom their children. When Onome was in Secondary school, there was another girl living with albinism in her school. This girl hated going home during the holidays. Some teachers had to plead with me to have a chat with her mother. I agreed to do this and I discovered that having this child had caused this woman her marriage. She was so hurt that she put the blame on her child and sent her to a boarding school to avoid seeing her frequently. I had to encourage her to love her child despite what had gone wrong. I remember another woman who approached me some years back while I was with Onome to ask if she was my daughter and how I am able to go out with her without any shame. She confessed that she also had a daughter living with albinism. She had sent her daughter to live with her grandmother because she was embarrassed to take her out. Her husband had in fact left her to marry another woman because he felt she gave birth to an albino because she cheated on him. I was able to help this woman in the little way I could. 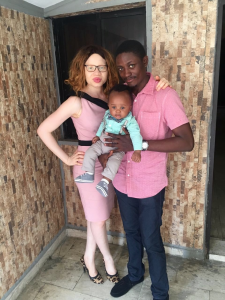 I have met quite a number of mothers who have children living with albinism and I can boldly say that having a child living with albinism tends to affect mothers more than fathers. This is because women are very sensitive and emotional and as such get easily affected by negative comments. It is even worse in instances where there is no support from the fathers. There is absolutely nothing wrong with having a child living with albinism. I advise that parents of these children “spoil” them with love so that others can love them too. This is quite important because if the upbringing is faulty, it would affect the child for the rest of his/her life. Parents of children living with albinism also need to understand that the sun is the number one enemy of their child. Once the sun can be avoided, 80% of the job is actually done. Their eyes also need to be taken care of. Parents should also ensure that their children have a good self-esteem. People living with albinism need to accept themselves for who they are as well as love themselves before others can actually love them. I clearly understand that most of them do not get the necessary support they need from their parents and loved ones but I would want to encourage them to be strong and make themselves the best wherever they find themselves. 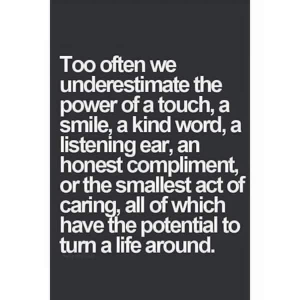 Whether the society chooses to love you or not, ensure you love yourself and live your life to the fullest. Build your dreams and prove to the society that the colour of an individual’s skin does not determine one’s destiny. The society we live in has a lot of misconceptions about albinism. For example, some people believe that a child living with albinism is a curse or punishment from the gods or ancestral spirits due to a wrong done in the family or the mother of a child with albinism slept with a white man. Most of these misconceptions are of course not true. I see a need for awareness creation. People need to understand what albinism really means. We also need to understand that we are all created by God and the fact that someone looks different doesn’t mean such person should be treated badly. The colour of an individual’s skin does not in any way affect the personality of the person. I have seen dark skinned people act like “devils”. Let’s stop the discrimination against albinos. Let’s make them feel special because they really are a special breed. 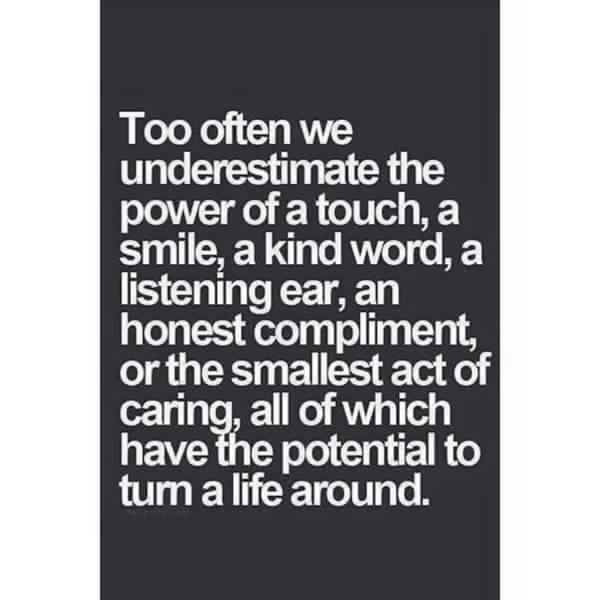 I have been privileged to meet a lot of them. They possess amazing potentials and talents that can only be discovered if we all look beyond the complexion. @Onome, I’m particularly happy for you because you were born into love, knowledge and overwhelming care. You’ve achieved a lot for your age despite the odds. I’m very proud of you and wish you greater accomplishments in good health and sound mind to the glory of God. HAPPY BIRTHDAY. Cheers. I wish you a very happy birthday! I love you because your mum loves!!! Lol! Happy birthday dearie! Wish you long life and prosperity. Amen. Enjoy your day love. 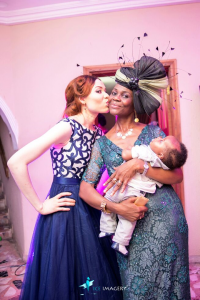 Thank you Onome’s Mum for playing your role as parents in her life,the Lord will bless you so much. You Will reap the fruit of your labour IJN. Amen. Momma sure raised a woman society is proud of having. Happy birthday Onoms! Happy 26th birthday to the most amazing daughter, friend and person of in the world.You are an inspiration to me and everyone around you.Today is so important to everyone who knows you.Being a mother of a daughter like you is a gift of life.You are wonderful and I am proud of the beautiful young woman you are.It has been such fun to watch you grow up to the incredible person that you have become.I am remembering how small you were and rejoicing in all that you have grown to be.Always have faith in yourself and life your dreams.I really don’t know what I have done in the past life to deserve such a wonderful daughter like you.Whatever it was, it must have been so incredible for I was given the best daughter in the world.I count on you as a treasured gift from God to me. I love you more than you will know Onoms. HBD Onoms I have always loved u and also proud of you. Anywhere I go to I talk about to d extend that my friends or course-mates also liked for ur clean skin colour and the way people talked about u. Happy birthday Onoms, you’re the best! Onome Okagbare Majaro happy birthday gurlie! Keep shinning like the priceless diamonds that you are. Lolu is really lucky to have you as his wife and so is Dele proud to have you as his mama. “The difference between the love of a man and the love of a woman is that a man will always give reasons for loving, but a woman gives no reasons for loving.” Fulton Sheen. Apart from being beautiful, industrious and enduring, women are delicate, delectable, dependable and of course, demanding. But of course, men take their time to find their women, for some the women cross their parts, for others, Providence bring them their way while for a minute few, the women actually work up to them (I love this category). Onome Okagbare Akinlolu is an amazing woman, an angel among men, one who isn’t her hair, her skin colour, but the soul that lives within. She’s a wife, a mother, daughter, and role model and mentor to many Albinos out there. Through the Onome Akinlolu Majaro Foundation http://www.oamfoundation.org she refines and refines the social perception about albinism. She’s won my heart and now I am an #albyactivist. Onome encourages us to look #beyondthecomplexion because she believes just as I do that Albinism isn’t a form of disability. With a degree from Unilag and an MA in Public Relations from the University of Swansea, she continues to help many people living with Albinism to thrive better in a world filled with stigmas, discrimination and hate. 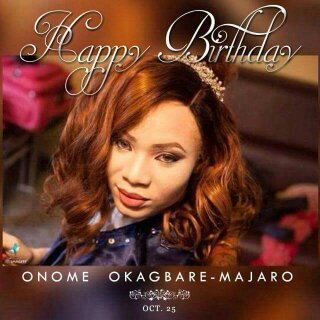 Happy birthday dear Onome, may the good Lord continue to bless, keep, prosper and favour you. Happy birthday Nomsy! A bright, sweet and lovingly warm personality shines right through your “bright” complexion and touches everyone around. May the happiness you bring to others form an ocean of happiness for you too. You inspire in the simplest of ways. Cheers! While the society made albinism look like a misfortune, you showed them that it’s just a benchmark for greatness. Albinism didn’t restrain you from being a great person who has archived a lot, and I pray you will be the model that will show albino’s that the world can be whatever they wish it to be, with a lot of adventures and opportunities. Mum was really terrific in raising you. Have a happy birthday and a beautiful life . Happy birthday to my very darling daughter, Onome. …and all this just to prepare her for me…. Truly grateful for the good work you did raising such a gem. God bless! “A mum and mother indeed!” Was the phrase that kept running through my mind as I read through the piece Mrs. Okagbare put together here. This only goes to prove that “where there’s a will, there’s a way”. You practically poured out your life loving Onome and by extension loving the generations of others you gave courage and strength to to take up the task of loving their special gifts from God! Three salutes to a mum per excellence! Onome, you’re blessed for the gift you have in your parents! Bless them every day of your life! May your day be full and complete with good cheers, tons of laughter, love from family and friends; and may the Lord keep you in good health, grant you a long lease of life if He tarries, and grant the desires of your heart in Jesus name! Enjoy the rest of your day! A very wonderful story. And I’m glad to now become a part of it! God bless! HBD dear. May the Lord continue to bless you and your family. Happy birthday my dear Onome. I meet your mum, who is also my mum now early this year and we were together for more than 2hrs discussing and that name Onoms came up more than 10 times. She was proud to show you off to me. She showed me your pictures, she celebrated you. Onome, like mummy said, God created you for a purpose and through the help of God, mummy has been able to help you fulfill that purpose of impacting the life’s of people living with albinism positively. To mummy, I say WellDone and Kudos to you. HBD Onome, God bless and keep you. Happy belated birthday dear. Best wishes and more birthdays to come. I pray that God will prosper, favour and bless you in all that you do. As for your mother,”Ms Legs” of Uniben some years ago,does have a lot of love to give and that will she continue to give to you. You can not ask for a better mother.You are indeed blessed to have her in your life. Have fun and God bless.!!! Happy belated birthday my dear. You are a beautiful young lady. Thank God you have your number one cheerleader cheering you on, your mom.She is a woman of integrity and poise.I know she will always stand by you as long as you need her. You are indeed very blessed.My wishes for you are favour, mercies and grace in all that you do. Take care,have fun and greetings to your family.!!! I saw beautiful Onome grow up from Nursery age to the day she was taken to the alter and wondered how her skin glows and looked like a British girl. Mama Onome you have done so well. I will speak to all our parents, binos are not the only children who are stigmatized but also children who are born with various kind of deformities, they all need love and special attention and should be groomed to stand out in the society. Onome also helped herself because she believed in her mum and believe she can make it. Happy birthday Onome. Wao, Onome, even though I’m not very close to you, I always admire ur confidence n high self esteem! HBD Onome , more power to you and yours. Mother indeed, what an experience, quite educative and inspiring. Happy birthday Onoms baby! You have done an excellent job of raising such a beautiful, confident, highly motivated and intelligent young lady. Reading through your post, I know you would have face enormous challenges, some of which may have seemed insurmountable at that time, but the good Lord raised you above them all. Your wonderful husband(crown prince) is also to be highly commenced as without his unflinching support, accomplishing this task may have been extremely difficult. Providing parental education about skin and eye care is pertinent and I am pleased that you have taken on the role of mentoring mothers of children living with albinism. By doing this, you have filled a vacuum which has existed for several years. Your success story will no doubt eventually bring about an attitude and perception change towards people living with this condition. 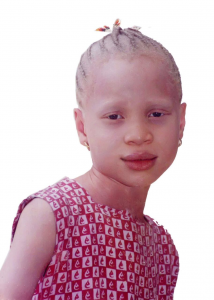 With increased awareness, the society will acknowledge that albinism does not in any way limit one’s ability and that children living with this condition can become very high achievers just like your beautiful daughter. Keep up the good work! Onome’s you are blessed and very beautiful, I love your personality, you are full of life and a mentor to my daughters. pls. Continue with you great work, you are an inspiration to the world. Stay blessed. A belated birthday greeting to Onome, an ever-lively lady who is so comfortable in her skin. Your life radiates peace and joy. Your good self-esteem is so infectious. 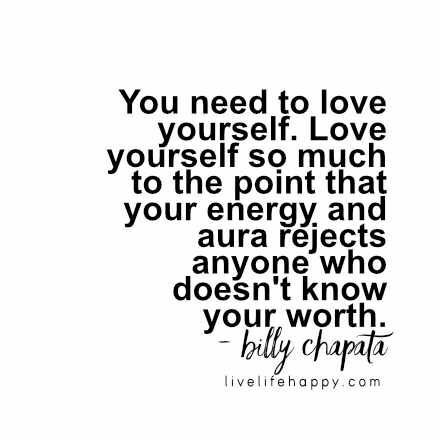 You know your value and self-worth and you call on others to do the same. 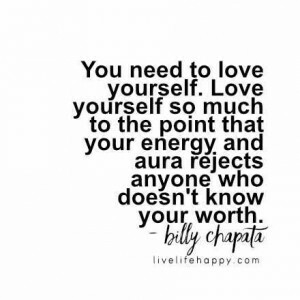 Your healthy self-love enables you to love and value other people passionately. I support your pet project which calls loudly on all those who live with albinism to discover their self-worth and bloom wherever they are planted. On your birthday, I extend my greetings to your beloved parents Paul and Rita who have always held you as a precious jewel.